New Years Eve marks the beginning of Allentown’s 250th birthday celebration, a year-long observance for which I’m very excited. Over the past few weeks, I’ve been thinking about the progress we’re all hoping to make in 2012 and the work being put in motion now that will make the Allentown of 2013 a healthier, more generative community. At First Presbyterian Church of Allentown, we’ll spend much time, talent, and treasure in 2012 working with the Sixth Street Shelter to expand occupancy in that facility by 25% by 2013. Alan Jennings put it to me this way: “if an unwed mother, her infant child, and her scruffy male companion came to the shelter on Christmas Eve this year, they’d be turned away. There’s no room at the inn.” Our Local Care team is taking the lead role in organizing the entire congregation for this important work. At St. Paul’s Lutheran church, Pastor Richard Baumann helps lead the Safe Haven homeless shelter, an overflow facility that’s quickly exposing how very dire the occupancy issues are at other local shelters. 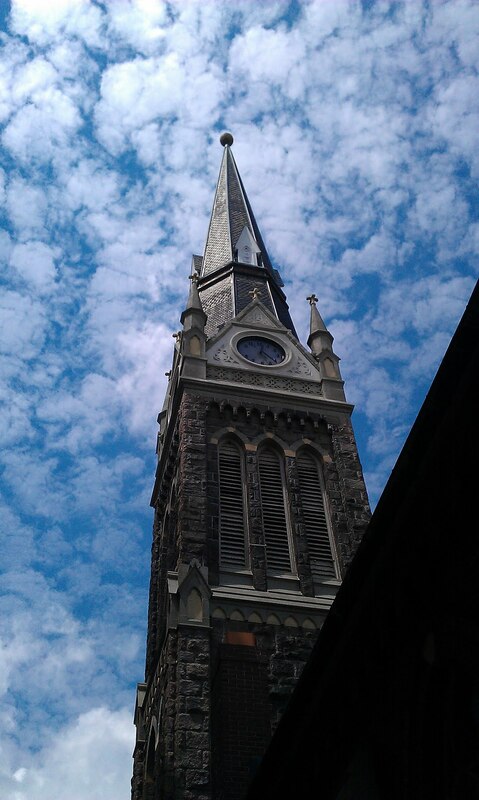 In 2012, First Pres will partner with St. Paul’s in new, exciting ways around these and other issues. St. Paul’s also provides free Sunday morning breakfast before services each week and has established on the southeast corner of 8th and Walnut a unique community where the homeless have been invited into leadership roles in the larger life of the church. 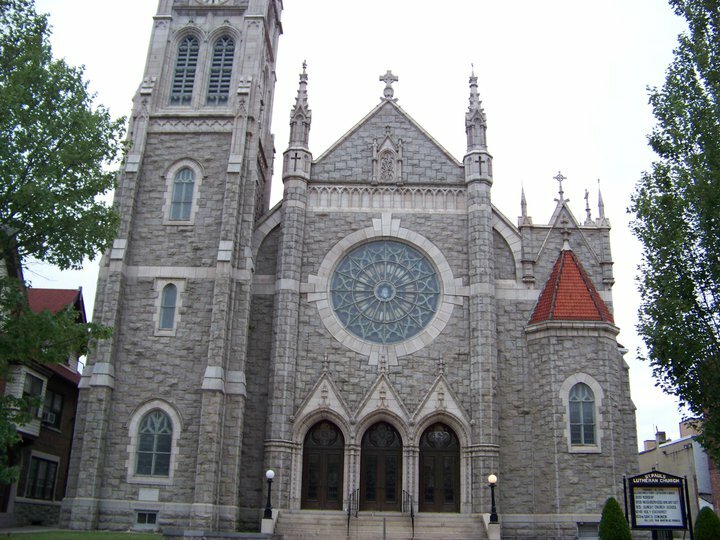 St. Paul’s also hosts the Lehigh County Conference of Churches Soup Kitchen and is providentially positioned in the vicinity of the new, multi-million dollar office and retail complex planned for 2013, One City Center. Led by Pastor Bob Stevens, Zion’s Reformed UCC (The Liberty Bell Church) celebrates its own 250th Anniversary in 2012, as does St. Paul’s. These historic Allentown communities of faith began in the same log cabin as two of six local congregations in 1762. Both continue to serve and lead the community in 2012, and both are poised to make huge impacts in 2013 and beyond. Zion’s graciously hosted the Lehigh County Conference of Churches’ fall gathering concerning the growing economic divide in the context of the global financial crisis. This event, sponsored in part by FPCA’s Peace, Justice, and Missionary Team, was a huge success despite the unexpected Halloween storm. With a 400-seat sanctuary and a place on the National Register of Historic Sites for its role during the American Revolution, Zion’s and its famous Liberty Bell Museum (which celebrates its 50th birthday this year) are the logical terminus of the Allentown Arts Walk and are natural partners for anyone considering the expansion of the arts initiatives already bustling on Sixth Street. One of Pastor Bob’s visions for 2012 is to open this beautiful venue to the budding community of Christian artists and musicians as a platform for support, encouragement, and spiritual engagement. “Shalom in the city” takes many forms at Zion’s and blossoms in many ways. Beautifully framed by the newly-renovated and expanded Allentown Art Museum of the Lehigh Valley (which incorporates FPCA’s original building) on the east, the Baum School and Da Vinci Horse on the north and Symphony Hall on the west is the Arts Walk’s point of origin: the Allentown Arts Park. By 2013, I hope to see the west side of the Sovereign Building, the last leg of the Walk connecting 6th Street to Zion’s, as a fully realized outdoor art space with murals, sculptures, improved landscape maintenance and a thriving sense of public commons. Click here for a Google Photos gallery of pictures from this part of the City taken in July including Zion’s, Symphony Hall, the Arts Walk, the Baum School, The Musselman Arts Development Center and more. 2012 will see the construction of the new Allentown Arena, and, as we learned recently, the creation of One City Center, a stone’s throw from St. Paul’s. By the Fall of 2013, the Arena and One City Center projects will be completed. Alvin H. Butz will be doubling down their physical presence on Hamilton Street with an expansion of their corporate headquarters in the old retail district once anchored by the world-famous Hess Bros. department store at 9th and Hamilton. Ground will break this summer, with an expected completion of 2013. Although they are not without controversy, the Arena project and the special tax zone created to foster it are also drawing the first serious waterfront development ideas in a decade. Led by our Local Care team, FPCA continues to partner with Roosevelt Community School, the Allentown School District’s first COMPASS school, joining our friends at Zion’s EC Church on Susquehanna St and other community partners like Air Products, Good Shepherd, and Allentown Symphony Hall. The success of the COMPASS model is palpable at Roosevelt, and in the eight years since Roosevelt’s COMPASS designation, teachers report a “180 degree change” in the school’s academic culture. At Roosevelt, supplemental education doesn’t stop with children. Adult classes on parenting, financial basics, and English as a second language provide school parents with the kinds of resources and access that foster better environments for success at home, work, and school. Since the Roosevelt pilot, Central Elementary, South Mountain Middle School, and McKinley Elementary school have become COMPASS community schools. Our call in 2012 is to continue our work with Roosevelt, even as we partner with community stakeholders to explore the ways we can lift up the COMPASS model across the district, and even as we consider establishing a low-cost or free pre-k school in the City for under-served populations. FPCA’s partnerships with the Lehigh County Conference of Churches and its programs and committees (LCCC Daybreak, LCCC Soup Kitchen at St. Paul’s, and LCCC’s Peace and Advocacy Committee and Ecumenical Committee) remain strong thanks to the work of dedicated volunteers and mission team leaders. On January 29, FPCA will host an ecumenical service organized by the Conference’s Ecumenical Committee to celebrate the Week of Prayer for Christian Unity. Members and friends of FPCA are also taking a lead role in the planning of the Third Annual Martin Luther King Dinner and Program at St. John’s UCC at 15th and Walnut on January 16. In 2012, Tony Sundermeier and I will co-convene the regular Beerituality gatherings at the BrewWorks at 812 W. Hamilton Street. Musician, friend, and creator of the broken liturgy worship experience John Hardt will join us for an evening of song and conversation at 7 PM on January 19. We’re blessed to have John as our first guest of the New Year. Happy as I am to join with City residents and leaders in the celebration of Allentown’s 250th anniversary beginning tonight, I’m even more excited for the work we’ll all do together this year toward a better 2013 and beyond. I’m blessed to be charged with much of this work as part of my vocation at First Presbyterian, but the development of generative relationships and cultures in the City is something diverse groups of religious, civic, business, and community volunteers believe in and continue to work toward. May this be the year that changes everything. As we might say in church, may this be the year of the Lord’s favor! Amen. It sounds like there is alot of potential for growth and change. Remember to pray for all things to come about. 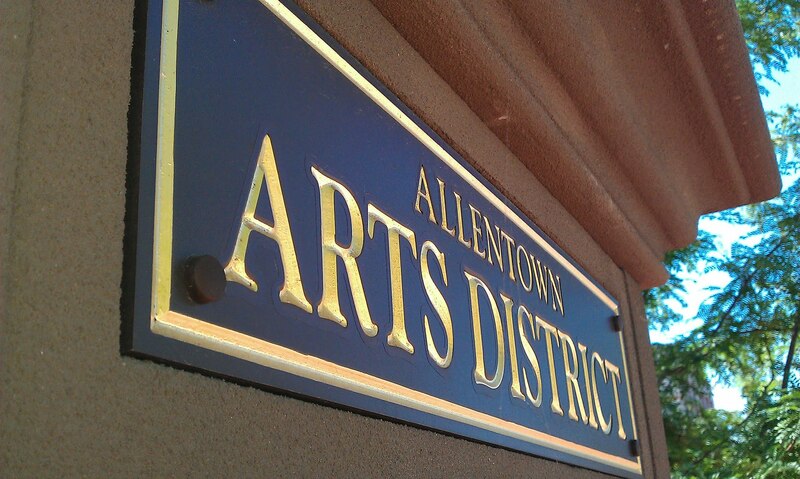 Somebody better get a lawyer because that Allentown logo is the Nook Power Button.